Ukun Pacha is last, and less perfect! Etemenanki, the tower of Babel in Cusco, Peru? VITRIFIED STONES ARE TYPICAL FOR BOTH URAN AND HANAN PACHA STONES! In this image one can recognize three different styles that we define in the documentary "The Cosmogony of the Three Worlds". 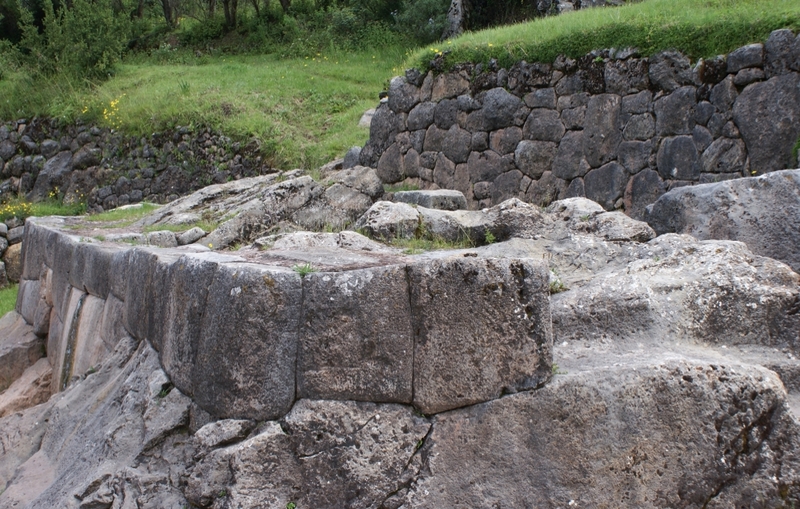 Below we see Hanan Pacha (the bedrock that was worked upon), over that we see a wall of the Uran Pacha time with perfectly fitting blocks, and over this we see the use of a more simple construction technology which led to a wall with less prefect fits (most probably from Inca time). 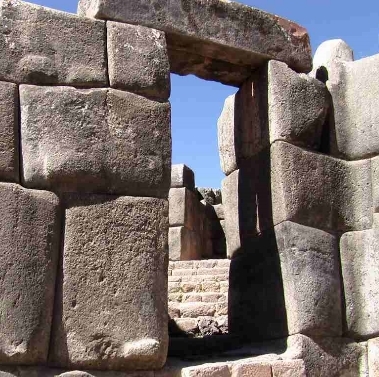 Ancient mysteries can be explained with all I learned in Cusco, Peru. Was the old Inca Capital Cusco, the place were I lived for more than 13 years and that I visited and still visit regularly, much more important and much more ancient than what we normally learn at school? According to Alfredo and Jesús Gamarra, this was certainly the case. Alfredo, father of JesÃºs, faded away in 1999, after a long life dedicated to investigate ancient mysteries. Jesús Gamarra then asked me to work together. We started a fascinating journey of filming, editing, investigating and informing other people about the investigations and theories of his father, for over 6 years. this culminated in the production of the documentary called "The Cosmogony of The Three Worlds. Many of the conclusions of our work are to be called surprising and contrary to what mainstream says in scientific disciplines as archaeology and geology. If Alfredo was right, we will have to review official history. It will sound extreme, as most of us are used to another story. But as you will see here, many of the ancient mysteries can't be explained with the official versions! 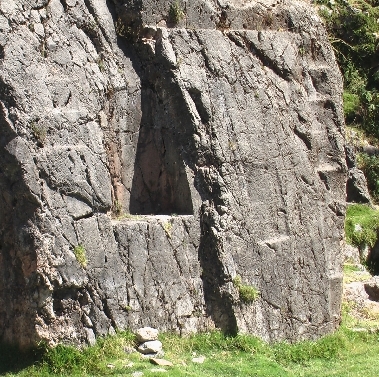 Official science says the sites near Cusco are from "Inca time" and not much older. Further reading makes it clear that no good explanations are offered to explain the splendid stonework in a satisfactorily way. It is very hard to believe that the Incas did it all by hand, even if they used the labour force of thousands of people. One thing is to transport the giant stones of for example Sacsayhuaman, just above Cusco, another thing is fitting them perfectly together. But depending on which guide you get on the tour to the site, you can hear different stories. Going from one extreme to another, like: "this is the work of extraterrestials", or: "the Incas had some liquid that could dissolve stone". I have visited many sites, especially near Cusco, most of the times together with Jesús Gamarra. There are many places, not only the famous places that are considered to be made by the Incas, like Sacsayhuaman, Kenko, Pisac, Chinchero, Ollantaytambo and Machu Picchu, but many more that are not very well known, not even by the local people. The visits helped me to confirm several of the conclusions of Alfredo. The archaeological framework that Alfredo made, is contrary to that of the conventional visions. After many years of discussing Alfredo's work on several internet platforms, I have come to the conclusion that for better understanding and acceptation, it is convenient to separate the inventory of archaeological phenomena from the more theorical conclusions that Alfredo came to. This will help to first get clear what the phenomena really are, before going to the theorical explanations, although they are higly interesting and to my opinion explain where others don't. Many times these anomalies, most of the time only after some superficial observations and without further investigation, have been presented as proof for theories as "it must have been the Ancient Aliens", or they must have had Giant Machines. For a good inventory and many details on the stonework I would like to refer to the documentary "The Cosmogony of The Three Worlds". It offers a great view on what Alfredo Gamarra found in Inca sites, what he explained about them and how we can recognize the same phenomena around the world. "This is a must see for those of us seeking cogent theories to explain the various anomalies around the Earth. Through a series of striking images, Jan Peter de Jong has done an excellent job presenting Peruvian Alfredo Gamarra's unique theory that explains how the numerous vitrified and colossal megalithic ruins around the globe could have been created in the distant past." "The differences in the three types of stone architecture of Peru's ancient ruins are readily observable to anyone who visits these sites. The Cosmogony of the Three Worlds puts forward a very well thought out and argued alternative to orthodox theory as to how and why these distinctly different styles exist. The conclusions made by the researcher Alfredo Gamarra are faithfully presented in this documentary. Although quite revolutionary in scope the vision of Alfredo Gamarra is sensitively treated by both Jan and Jesus. It's refreshing to see such an independent and original approach to a problem that many people refuse to see exists in the first place. If true or even partially true we could see some major pieces of the jigsaw puzzle fall into place. Why did nearly every major culture on Earth have the ability to build structures out of enormous stones that today we would have major problems with? 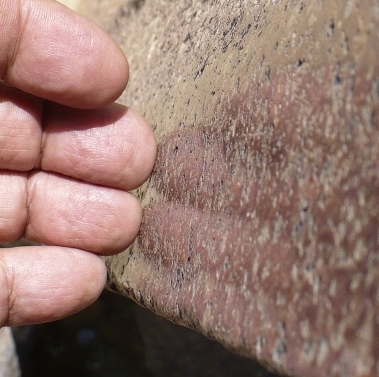 Why do some of these stones bare markings that make them appear to have been poured or molded? How did so many large stones get transported such long distances? This is very thought provoking stuff and the broader conclusions have far reaching implications. Definitely worth watching!" The Documentary is a great way to introduce yourself to the Inca sites before you will visit them; in this way you will know how to see the sites with other eyes. On this website I will give also more information on all the ideas that are mentioned in the documentary, and go further into details, while I will also explore other sites on world level. Thanks to the Internet there has come more and more information available during the last years, that are all showing that the ideas of Alfredo Gamarra are reflected on an even bigger scale than what we could imagine while making the documentary! Since then many more sites were identified, and I will be presenting them here. We hope that in the near future we will be able to make a new documentary that will be a continuation and confirmation of the work already done! 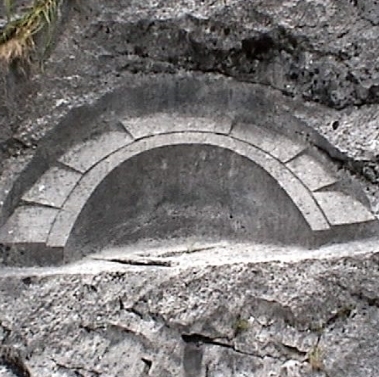 --Archeological phenomena of stonework in Cusco, Sacsayhuman, Machu Picchu, the Sacred Valey and more. The basis and most concrete visual evidence of Alfredo Gamarra's theory. About the different styles that exist at all sites and how to interpretate them. The relation with three different periods that humanity went through. --The disappearance of ancient cultures as Atlantis, the ancient mysteries of the great similarities between other places in the world as Egypt, Stonehenge, Japan (Yonaguni), Easter islands and many other Megalithic and Monolithic places. --The geological and cosmological explanations of a smaller world in earlier times with hard to deny evidences. A mystery to official science, where geologist prefer to theorize on a concept called subduction, which is based on the wrong assumption of an earth with a constant size and orbit. --The extinction of dinosaurs and other giant species of flora and fauna, and the pattern of earth increasing in size and mass through time. --The origin of religion, the existence of Gods and Giants with supernatural capacities in all cultures. Ancient mysteries of the Bible. The pattern of an earth that goes from smaller to bigger in time, we can find back in human history, in the bible and in the myths and legends of all cultures. Other calendars with less days per year, that existed in the past. --Earth was smaller in the past. --Earth went through different periods corresponding to different orbits of earth around the sun, with, of course, different calendars. --Life was bigger in the past thanks to less gravity. --Humanity could live longer thanks to less gravity. --Monolithic and Megalithic constructions were easier to construct thanks to less gravity. --Construction of these monuments was done with moldable stones. --The precision of the perfect fitting stones was thanks to the stones being moldable on the moment of construction. 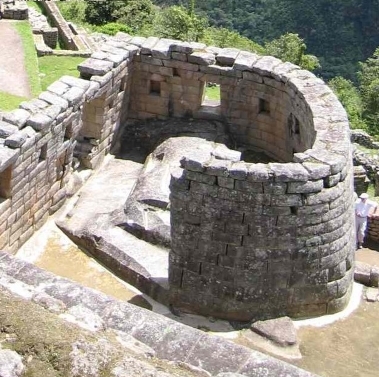 --The vestiges of Cusco and surroundings are much older than 'Inca time'. --Cusco was Babylon 'the Great'. --Atlantis existed in an earlier orbit, so South America, especially Cusco and surroundings, were an important part of it. Too much for you? Unbelievable? Come and see the reasons how Alfredo Gamarra came to these conclusions! The DVD The Cosmogony of the 3 Worlds has been an important step on the road to documenting his complete investigations. If you like untraditional viewpoints and unorthodox thinking about ancient mysteries, you are defintely in the right place! And you will be able to gain a whole new perspective on ancient history. This website will also be a continuing source of new information on ancient mysteries and about new productions with Alfredo Gamarra's ideas in mind. So keep checking this webpage!